With the potential to deploy an estimated $6 trillion in private capital into housing and economic development projects nationwide, interest in the Opportunity Zone program is growing rapidly. Now that many Opportunity Zone geographies have been identified, the program is starting to move out of the conceptual phase and into the implementation phase. In this blog post, we will outline recent developments in the new Opportunity Zone program and discuss the remaining steps to implement this program. The Opportunity Zone program is a new, large-scale community investment program created under the 2017 Tax Cuts and Jobs Act. By offering tax incentives to private investors which make long-term equity capital investments in low-income communities, the program aims to catalyze new economic activity in areas which have traditionally suffered from underinvestment. By placing realized capital gains into special funds (known as Qualified Opportunity Funds) for a long-term period of time, investors can receive valuable tax benefits, provided that these funds invest in permitted investments. 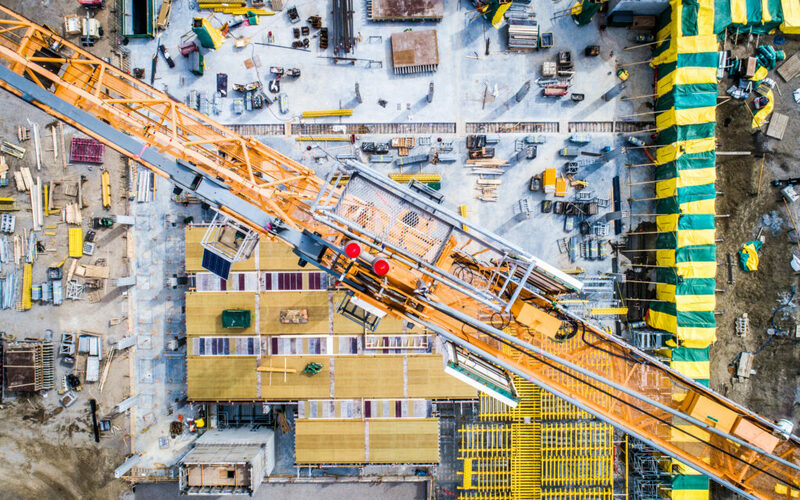 Permitted investments are likely to include a broad range of real estate and businesses, including residential development, mixed-use projects, infrastructure, start-up businesses, and more. Each state may nominate up to 25% of its low-income census tracts to be designated and certified by the Treasury as Qualified Opportunity Zones. (For more background information on the program, read our prior blog post Opportunity Zones Program: New Financing Opportunities for NYC Projects). Under the Opportunity Zone program, states and territories were given until March 21st (or April 20th if an extension was requested) to nominate eligible (i.e., low-income) census tracts, after which point the Treasury will designate and certify those census tracts as Qualified Opportunity Zones. To date, Treasury has designated and certified Qualified Opportunity Zones in 20 states and 4 territories. All remaining states and territories which are planning to participate in the program submitted their nominations to the Treasury on or before the April 20th deadline. For this final batch of submissions, it is anticipated that Treasury will issue final designations by mid-May. Leveraging the intensive analysis performed by Empire State Development (ESD) staff and the Regional Economic Development Councils, Governor Cuomo selected 514 census tracts statewide for submission to the Treasury for designation as Opportunity Zones, including 306 census tracts within the five boroughs of New York City. The Governor’s selection of census tracts aligns well with existing city and state priority areas. In Manhattan, Inwood was well-represented, as was the 125th Street corridor in Harlem. In Brooklyn, key economic development areas like Sunset Park and the Brooklyn Navy Yard were included. In Queens, Long Island City was well-represented, as were numerous strategic areas in Jamaica, Southeast Queens, and Far Rockaway. Zones selected in the Bronx included Hunts Point and the South Bronx, and in Staten Island, the Bay Street Corridor and North Shore area were included. Maps showing the locations of New York State’s Opportunity Zones selections can be found on the ESD website. As mentioned above, it is anticipated that the Treasury will approve New York State’s Opportunity Zone selections by mid-May. While the geographies for the Opportunity Zone program are largely in place, the program still requires guidance from the IRS before private capital will begin flowing through the program. Towards that end, the IRS issued a “Frequently Asked Questions” document on April 25th which helped provide some assurance to practitioners that Qualified Opportunity Funds will not have to go through a special IRS approval process, and instead will merely be required to self-certify as a Qualified Opportunity Fund. This will speed the process of creating new funds and getting private capital to flow through those funds into investments in Opportunity Zones. While the aforementioned FAQ guidance is helpful, many issues pertaining to such funds, such as the rules regarding the reinvestment of sale proceeds, remain outstanding and require clarification before funds can be created and equity capital can begin to flow. Treasury is also expected to issue guidance to ensure that Qualified Opportunity Funds are being used in accordance with the intent of the program. Presently, the IRS is working on guidance in order to provide Opportunity Zone participants with clarity on these issues, and is seeking public comment from interested parties in order to better assist in the formulation of program guidance. Information on how to submit comments to the IRS on this topic can be found on the CDFI Fund website. Industry stakeholders are hopeful that the IRS will issue additional guidance on Qualified Opportunity Fund investments in the coming weeks. After such guidance is issued, funds are expected to be formed, with private capital starting to flow into investments in Qualified Opportunity Zones. At Capalino+Company, we are closely monitoring this program to provide insight and technical assistance to our clients which hope to utilize the program to drive private investment in the most underserved parts of New York City. To learn more about the Opportunity Zone program and how it might benefit your company, contact Jeffrey Lee, member of Capalino+Company’s Land Use, Housing and Real Estate Group, at jeffrey@capalino.com or (212) 616-5824.